Many women diagnosed with ovarian and breast cancers are not receiving tests for inherited genetic mutations, according to a new study. Tests for inherited genetic mutations can provide women diagnosed with ovarian or breast cancer with important information that can have implications for family members and potentially guide treatment decisions and longer-term screening for second cancers. However, many women with ovarian and breast cancers are not receiving these genetic tests, a new study suggests. An NCI-funded analysis of data on more than 83,000 women from large cancer registries in California and Georgia found that, in 2013 and 2014, only about one-quarter of women with breast cancer and one-third of women with ovarian cancer underwent testing for known harmful variants in breast and ovarian cancer susceptibility genes. The study also found that among patients who did receive genetic testing, 8% of breast cancer patients and 15% of ovarian cancer patients had “actionable” gene variants, meaning variants that might warrant changes in treatment, screening, and risk-reduction strategies. The findings, published April 9, 2019, in the Journal of Clinical Oncology, were surprising, especially the low rate of testing among women with ovarian cancer, said lead author Allison Kurian, M.D., M.Sc., of Stanford University School of Medicine. The study also revealed racial and socioeconomic disparities in testing rates among women diagnosed with ovarian cancer. Genetic testing rates were far lower for black women than for white women, and they were also lower for uninsured patients than for insured patients. “These findings have uncovered a [disparities] gap that is much more substantial than I would have thought,” Dr. Kurian said. About 15% of ovarian cancers are caused by inherited mutations, and several medical organizations recommend that all women diagnosed with ovarian cancer receive genetic testing. For women with breast cancer, the recommendations for genetic counseling and testing are generally more limited, typically relying on factors such as age at cancer diagnosis and family history. However, some organizations, including the American Society of Breast Surgeons, recommend that genetic testing be made available to all women diagnosed with breast cancer. There are many reasons why women with ovarian and breast cancer would get tested, Dr. Kurian explained. “We know that if patients have a specific inherited gene mutation, they will likely have more benefit from a new class of drugs called PARP inhibitors,” she said. The Food and Drug Administration has approved three PARP inhibitors for BRCA1– and BRCA2-associated ovarian cancer and two for BRCA1/2-associated metastatic breast cancer. Harmful variants of both BRCA1 and BRCA2 are known to increase the risk of breast and ovarian cancer, as well as of several other types of cancer. “Another reason to get tested is that patients with a genetic mutation that is associated with breast or ovarian cancer may be at higher risk of a second cancer, so you don’t want to miss a second cancer that could be a problem,” Dr. Kurian said. “The findings could also be life-saving information for a patient’s relatives. If you find that she carries a mutation, every first-degree relative, male or female, has a 50% chance of having the same mutation,” she said. Testing, then, could allow for enhanced screening and prevention for family members who are carriers, she explained. The study included all women older than age 20 who were diagnosed with breast or ovarian cancer in California and Georgia from 2013–2014 and whose data were reported to NCI’s Surveillance, Epidemiology and End Results (SEER) registries. There were 77,085 patients with breast cancer and 6,001 with ovarian cancer. The registry data were linked to results from four laboratories that performed nearly all the genetic testing for inherited, or germline, mutations in these states during the study period. According to the authors, this is the first population study of hereditary cancer genetic testing in the United States with laboratory-confirmed testing results. Linking the SEER registry data to the testing data in this study provides “really objective data about the massive undertesting of ovarian cancer patients,” said Susan Domchek, M.D., executive director of the Basser Center for BRCA at the University of Pennsylvania Abramson Cancer Center, who was not involved in the study. While large racial and socioeconomic disparities in testing rates were not observed among women with breast cancer, among women with ovarian cancer, testing rates were far lower in black women than white women (21.6% versus 33.8%) and in uninsured women than insured women (20.8% versus 35.3%). Understanding why genetic testing rates are so low in women with ovarian cancer and why racial and socioeconomic disparities in testing exist among women with the disease is tricky, Dr. Kurian said. For example, she said, it’s unclear whether genetic testing is on the radar screen of doctors treating patients with ovarian cancer as much as it is for patients with breast cancer. Dr. Domchek said there could also be misconceptions among patients about the costs of genetic testing. Dr. Domchek noted that NCI is looking to fund studies that offer genetic testing to women with a personal or family history of ovarian cancer to see if it can help to identify members of their families who may be at increased cancer risk. 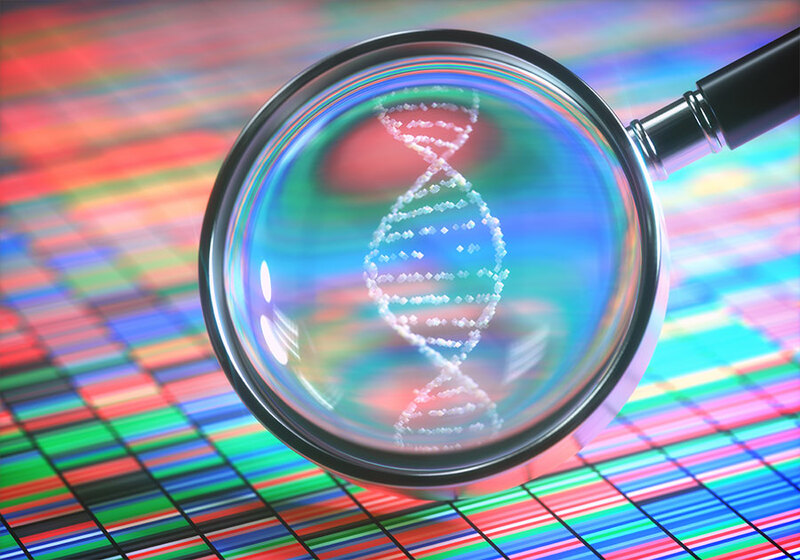 Although variants in the BRCA1 and BRCA2 genes were the most frequently found in the study, the laboratories also looked for other inherited cancer-related genetic mutations using tests known as multigene panels. The results provide “an understanding, on a broader scale, of how common these mutations are,” Dr. Kurian said. The multigene panel testing led to other noteworthy findings, Dr. Penberthy said. “What was really interesting was that while BRCA1 and BRCA2 were the most common germline mutations that we found in the study, there were other mutations that were not uncommon and that were actionable in terms of treatment as well,” she explained. For example, 60 women with breast cancer in the study had a mutation in the CDH1, PALB2, or PTEN genes. These mutations are associated with a substantially increased breast cancer risk, Dr. Kurian said, so women who have these mutations may consider having both breasts removed (a risk-reducing bilateral mastectomy), rather than just the breast in which the tumor was found. And widely used clinical guidelines recommend that women with breast cancer who have certain inherited genetic mutations, including in genes such as ATM and CHEK2, undergo more intensive screening for second cancers. In the study, mutations in ATM and CHEK2 were found in 0.7% and 1.6% of women with breast cancer, respectively. Mutations in CHEK2 and PALB2 and several other genes were found both in women with breast cancer and women with ovarian cancer. Studies haven’t yet linked these genes with increased ovarian cancer risk, so further study is warranted, the authors wrote. However, the key message from this study is the undertesting of ovarian cancer patients, who clearly need it, Dr. Domchek said.